Launched in 2016, Newsgroup Ninja is a service that aims to appeal to experienced Usenet fans. It is a US based solution that doesn’t offer a custom newsreader and instead, it focuses on user’s experience with well-known open-source browsers such as SABnzbd and NZBGet. Newsgroup Ninja acts as a reseller of the Highwinds newsfeed and it offers servers in Germany, United States and Netherlands. There is only one type of account that costs $7.99 per month and it allows you to download as much content as you want. It is more suitable for those who have technical skills, so if you are able to set up a newsreader and associated Usenet tool such as WinRar, 7-Zip and QuickPar, Newsgroup Ninja can be a good option. 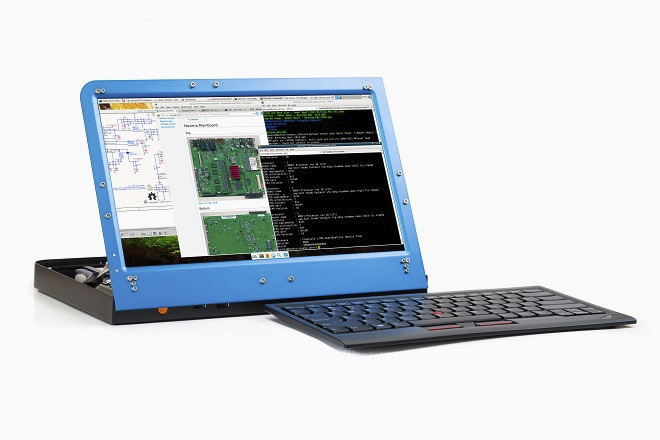 For less experienced users, Newsgroup Ninja can be a complicated solution. In any case, here we’ll take a closer look at what it can offer. At the moment, there is only a monthly plan that as previously mentioned, costs $7.99. It is likely to see them offering a yearly plan in the future that offers a reduced monthly rate. It is possible to pay using credit cards and the payments are processed via Stripe, which keeps you card details protected. Still, we’d like to see them supporting Bitcoin payments in the future as this method provides stronger protection. Newsgroup Ninja is essentially a Highwinds reseller, meaning that they use the same backend servers other services that are reselling Highwinds. If you are currently using a service that connects to Highwinds, you won’t notice a significant difference when using Newsgroup Ninja for your downloads. That being said, Ninja aims to stand apart from the competition by offering advantages such as the fact that it is easier to manage using the practical web interface. It is not necessary to create an account on the website because the access is obtained via emails with tokens. In the online dashboard, there is an option that allows you to cancel the service. Newsgroup Ninja relies on the same binary retention as other services that resell Highwinds. Since Highwinds backend is considered as one of the fastest options available, you can expect efficient performance to get the content that you want. The price is not too bad considering what Newsgroup Ninja offers, but we’d like to see an annual plan available for less. However, if you don’t want to be tied to a whole year of service, you may prefer the fact that the service can be paid month by month. In terms of speed, Newsgroup Ninja offers good results, depending on your location. You can get access to Newsgroups servers in Europe and the United States. It is possible to provide the default server address and you will be automatically directed to the server farm that is closer to your location. It is also possible to configure specific servers and use more than one location in your newsreader. You can also set your favorite newsreader to connect to any server. Remember that Newsgroup Ninja has servers in United States, Germany and Netherlands. It is advisable to set all the servers and you can organize and manage them according to your location. You can prioritize the nearest server to your location. The other servers can be used as back-ups. Newsgroup supports up to 50 SSL connections. It is advisable to use the minimum amount of connections needed to reach the download speed that you want. More connections can affect the performance of your system and slow it down. You can post, but this option is not available by default. If you want to post, you will have to start a request via the dashboard to get the features enabled on your account. After that, you can start posting without having to pay an additional fee. 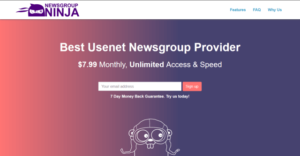 Keep in mind that like other Usenet providers, Newsgroup Ninja doesn’t allow account sharing. Although there is no free trial available, you get a 7-day money back guarantee so you can request a refund during the first week of service. The service works well and it is a good solution for those who have experience with Usenet. But if you are just getting started with Usenet, you may find that it is more difficult to use.